Web Hosting is the business of housing, serving, and maintaining files for one or more Web sites. More important than the computer space that is provided for Web site files is the fast connection to the Internet. Typically, an individual business hosting its own site would require a similar connection and it would be expensive. Benefits of using a hosting service allows many companies share the cost of a fast Internet connection for serving files. At MYP the process of Web Hosting is part of the services that we offer, we know how to use it to optimum services without you having to spend more than you should. We carry regular check ups, we learn the new techniques and keep ourselves update such that you are given a value for money service. 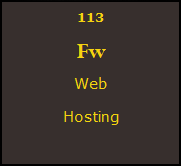 Web Hosting is something that is of big interest for us and we have people who love doing that. Information on Future Hosting – MYP preferred web hosting partner.